Compatible with Amazon Kindle Fire 7". Includes 10 piece tool set. 1 x Tool set. 1 x Touch Screen Digitizer. Tools, Adhesive and Instruction are Not included. Amazon Kindle Fire HD 6" PW98VM. For Amazon Kindle Fire HD8 6th PR53DC. 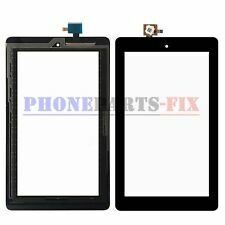 FOR Amazon Kindle Fire HD8 6th PR53DC Black Touch Panel Digitizer Glass Lens Screen. Compatible Model : For Amazon Kindle Fire HD 8 HD8 6th PR53DC. Type: Digitizer Screen. For Amazon Kindle Fire HD8 6th PR53DC. 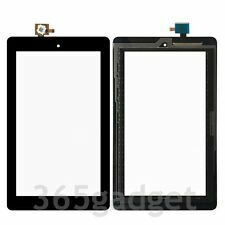 for Amazon Kindle Fire HD8 6th Gen PR53DC Touch Panel Digitizer Glass Lens Screen US. Compatible Model : For Amazon Kindle Fire HD 8 HD8 6th PR53DC. Type: Digitizer Screen. For Amazon Kindle Fire HD8 6th PR53DC. Compatible Model : For Amazon Kindle Fire HD 8 HD8 6th PR53DC. Type: Digitizer Screen. 1 X Digitizer Screen with tools. Type : Digitizer Screen. Tablet Screen Touch Digitizer Tools Replace for Amazon Fire 7" 7th Gen SR043KL. For Amazon Kindle fire HD7 2017 7.0" Touch Screen Digitizer (NO LCD) Black. 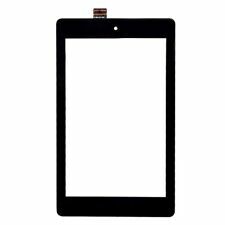 For Amazon Kindle fire HD7 2017 7.0" Touch Screen Digitizer. 1 X New Touch Screen Digitizer For Amazon Kindle fire HD7 2017 7.0". Compatible model :For Amazon Kindle Fire HD10 7TH SL056ZE. Trending at $28.97eBay determines this price through a machine learned model of the product's sale prices within the last 90 days. Amazon Kindle Fire 2017 HD 7 SR043KL. This is a perfect match to replace and make your Glass Touch Screen Digitizer working as new again. Removable film on part to protect the screen. Do not remove the protective film or fully install the part until you tested the part to make sure it is fully functional. Compatible Model:For The Amazon Kindle Fire 7 SV98LN. Color :Black. Amazon Kindle Fire 7" Lens Glass Touch Screen Digitizer. 1 x Amazon Kindle Fire 7" Lens Glass Touch Screen Digitizer. Product Description: Type: Touch Screen Digitizer Condition: Brand New ,Not pulled from phon. 100% Tested and 100% Working. Amazon Kindle Fire 7" Lens Glass Touch Screen Digitizer. 1 x Amazon Kindle Fire 7" Lens Glass Touch Screen Digitizer. 1x Free Tools Kit Set ( The Tools Are Not Replaceable )You will also need other tools in order for you to be able to fix the device. 4.5 out of 5 stars - Touch Screen Glass Digitizer Replacement for The Amazon Kindle Fire 7"
20 product ratings20 product ratings - Touch Screen Glass Digitizer Replacement for The Amazon Kindle Fire 7"
Replacement touch screen for 7 inch Kindle Fire older model. New Original Touch Screen Digitizer Glass for Amazon Kindle Fire 7 5th SV98LN. For Amazon Kindle Fire 7 5th Gen SV98LN Tablet 7.0". 1 x Touch Screen Digitizer. We might require you to send us photo/s of the item received and also your original item so we can compare and conduct necessary actions. Touch Screen Digitizer Replace For Amazon Kindle Fire HD 8 5th/6th/7th Gen 8"
For Amazon Kindle Fire 7 5th gen SV98LN. 1 x Touch Screen digitizer. We will try our best to solve for you ! MODEL: D01400. KINDLE FIRE 7". LCD DISPLAY SCREEN ANTENNA. Amazon Kindle Fire 7"Lens Glass Touch Screen Digitizer. 1 x Amazon Kindle Fire 7"Lens Glass Touch Screen Digitizer. 1xFree Tools Kit Set ( The Tools Are Not Replaceable ) You will also need other tools in order for you to be able to fix the device. 4.5 out of 5 stars - New Black Touch Screen Glass Digitizer Replacement for The Amazon Kindle Fire 7"
20 product ratings20 product ratings - New Black Touch Screen Glass Digitizer Replacement for The Amazon Kindle Fire 7"